Benny, Banksy and Boydie, AKA the BasketBall Blokes, here for your Round 17 NBL Fantasy guide. Just two weeks remaining, and plenty of coaches still in contention for the $10k prize, including DT Talks own Jeppa sitting pretty in 5th and our very own Boydie sitting in 11th spot. Liam Santamaria has first place locked in it seems and a fairly tidy lead on second, and will be kicking himself he is ineligible for the number one prize! If you are looking to take some risk and try something unique to rise through the ranks, the time is now with a lot of the higher ranked teams beginning to look a little Vanilla with a lot of similar player names appearing, particularly Melbourne and New Zealand players. For example, those that took a punt on McCaron last round, despite talks of a lingering injury were handsomely rewarded! Those that dodged bullets in Wesley and Jawai also saw some major headway made in the overall standings. The question is, who is this weeks Mitch McCaron!? Remember we have another early 5.20PM AEDT lockout tonight, so ensure those trades are sorted and those Captains are locked in ready! These players have received major price rises after round sixteen. United is flavour of the week with four players receiving a $100k bump in price heading into the final two weeks, both of which are doubles for Melbourne. These players have had the biggest price drops for the round. Bogut and Wesley continued to trouble owners scoring well below their price point. Jawai also a problem after sitting out last game for those riding him on the bench. Its hard to pick where to start with trade targets for Round 17 of the NBL as there is literally too many options to choose from! As per our chat on trade targets in this weeks podcast (link below), it kind of depends if you are trying to win the whole competition or just trying to win your league games for this week as to what your trade strategy might be. 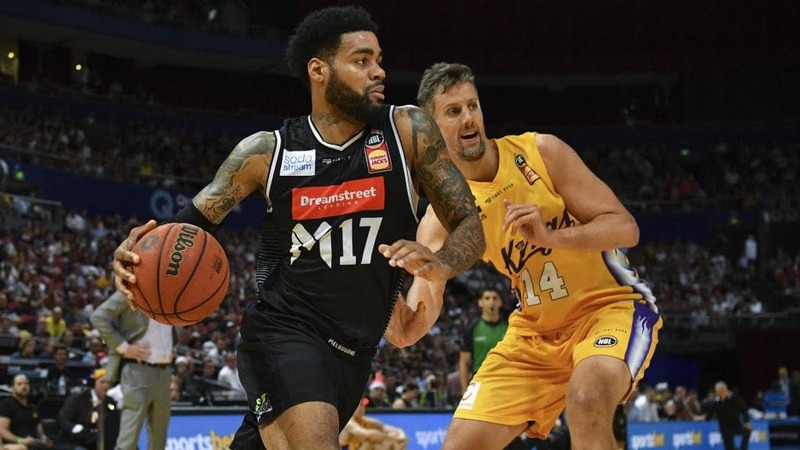 As always, we look to the schedule to provide some guidance to us and as per last week, Melbourne and NZ players are the pick of the bunch, with them both being the only 2 teams with 4 games to play over the last 2 rounds of #NBL19. If you don’t have the inform big names like Long, Boone, DJK, and McCarron these guys are probably your best bets. But If you looking for a POD (Point of difference) maybe a Casper, Wesley (despite form), Weeks, even a Armani Moore could be options for you. Other options for the round are the big names on doubles in Banksy’s captain choices for the week if you want to stay vanilla, or it’s risk it for the biscuit with the likes of Randle, Daniel Johnson, Sobey, Blanchfield, Gliddon etc all on doubles and all capable of scoring big on their day. All three of us BasketBall Blokes still don’t know what trades we are doing for the week, so there will be plenty of trading and rollbacks tomorrow before the early game in NZ starts! Good luck to all the coaches out there and make sure you have a listen to our trade discussion on this weeks podcast below! 5. Josh Boone – One of the most in form fantasy players in the competition, averaging just shy of 60 over his last five. The slight worry for me, is the two away games this week and the fact we never saw Boone in the overtime period last game that may have cost him a double double. Previous scores of 37, 55 and 44 matched up against Bogut. A 19 against Adelaide but also massive scores of 75 and 85 as well. In form, but could also be a unique captain option if your trying to rise through the ranks if Boone is to put up one of those 75 or 85 type scores again within his double. 4. Andrew Bogut – Our auto Captain is only averaging 46 over his last 5, well below what we know he is capable of. My worry here, is always a possibility of resting or limiting Bogut leading into a finals campaign, but also the matchup against Perth. He has put up scores of 43, 24 and 49 on Perth, while putting up some better numbers previously on United with 50, 34 and 63. A solid, and no doubt a popular choice, but I see our top three surpassing Bogut this week. 3. Lamar Patterson – Brisbane need wins. The way they are going to get these to scrape into the finals is by playing Lamar big minutes. We know he can pad the stats in multiple ways, especially with friendly matchups against Illawarra and Cairns. Patterson has already scored 52 and 44 against the Hawks and I can see him going large knowing the Bullets are locked with the Hawks for wins with 12 a piece. He also put up 64 in his last game against the Taipans. Lamar is due and expect him to go big as he makes a push to get Brisbane into finals contention. 2. DJ Kennedy – Talk about in form. 61, 68, 62 and 60. It doesn’t get more consistent than that after scoring more than any other player in the competition last week. Two away games for United, but previous scores of 63 and 57 against the Kings and 41 and 68 against Adelaide bodes well for Kennedy, as we should likely see much of the same this week. 1. Shawn Long – 61 over his last 5 and a massive 88 in his last game. Mathematically, the Breakers still have a chance to make finals, pending other results. The question this week, is who is going to stop Long and his athleticism against Illawarra and Adelaide? Neither team has a renown big man, and previous scores of 90 against the Hawks and 74 against the 36ers tell us exactly what is possible this week. All teams except Perth and Cairns with doubles this week, and importantly only Melbourne and New Zealand with doubles both this week and next to round out the fantasy season. Get set everybody, round 14 is on its way.